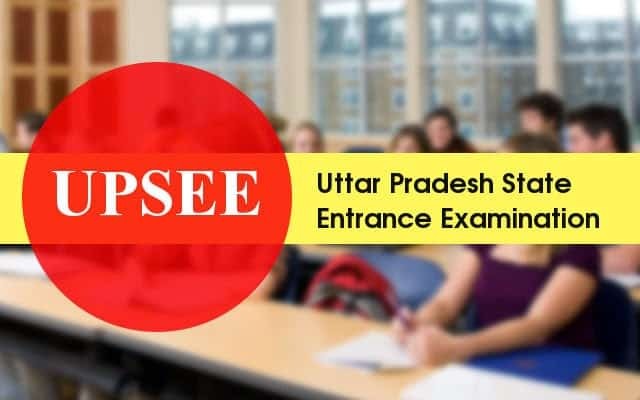 UPSEE Entrance Exam (B.Tech) Syllabus 2019 is available on this page! Abdul Kalam Technical University is all set to conduct Uttar Pradesh State Entrance Exam; students who are preparing for the admission in B.tech course can check the detailed syllabus and exam pattern for the same form this page. We have provided the pattern and syllabus of each subject in detailed format. Syllabus and exam pattern is the key for the success in the exam, as syllabus provides us the detailed information of the topics from which the question will be asked in the examination and exam pattern help us to understand the marks distribution of each and every topic. So candidates are advised to have a look on provided UPSEE Entrance Exam (B.Tech) Syllabus and prepare for the examination accordingly. Dimensional analysis and error estimation, dimensional compatibility and significant figures. Average velocity, instantaneous velocity, one-dimensional motion with constant accelerations, freely falling bodies. Force and inertia, Newton's laws of motion, and their significance. Work done by a constant and variable forces, kinetic and potential energy, power, Conservative and non-conservative forces, conservation of energy, gravitational energy, work energy theorem, potential energy stored in a spring. Photo-electric equation, matter waves, quantization, Planck's hypothesis, Bohr's model of hydrogen atom and its spectra, ionization potential, Rydberg constant, solar spectrum and Fraunhofer lines, fluorescence and phosphorescence, X-Rays and their productions, characteristic and continuous spectra. Nuclear Instability, radioactive decay laws, Emission of a, b, g rays, Mass - defect, Mass Energy equivalence, Nuclear Fission Nuclear Reactors, Nuclear Fusion. Classification of conductors, Insulators and semiconductors on the basis of energy bands in solids, PN junction, PN Diode, junction Transistors, Transistor as an amplifier and Oscillator. Principles of Logic Gates ( AND, OR and NOT ) Analog Vs Digital communication, Difference between Radio and television, Signal propagation, Principle of LASER and MASER, Population Inversion, Spontaneous and stimulated Emission. Hydrogen peroxide. copper sulfate, silver nitrate, plaster of paris, borax, Mohr's salt, alums, white and red lead, microcosmic salt and bleaching powder, sodium thiosulfate. Hydrocarbons, monohydric alcohols, aldehydes, ketones, monocarboxylic acids, primary amines, benzene, nitrobenzene, aniline, phenol, benzaldehyde, benzoic acid, Grignard Reagent. Definition, Dependent and independent events, Numerical problem on addition and multiplication, theorem of probability. Identities, Trigonometric equations, properties of triangles, solution of triangles, heights and distances, Inverse function, Complex numbers and their properties, Cube roots of unity, De-Moivre's theorem. Reproductive system (excluding embryonic development) Osteology, structure and organization of different systems. Animal Nutrition: Food, Balanced diet, Nutritional imbalances and deficiency diseases, Digestion, Absorption, Assimilation of food, (comparison between human and Rabbit). (B) Animal Excretion and Osmoregulation: Chemical nature of excretory products in various animals, Physiology of excretion, Function of liver and kidney (Homeostatic regulatory functions of kidneys), Formation of urine, Osmoregulation by kidneys. (C) Respiratory system: Exchange and transport of gases (O2 and Co2) factors affecting O2 and Co2 transport, Cellular respiration, different lung volumes, breathing and soundproduction. (D) Nervous systems: Central, autonomic and peripheral nervous system, Receptors, Effectors, Reflexaction. Nature and conduction of Nerve- impulses, Synapse, Sense organs - Structure & working of Eye & Ear, Biochemistry of vision and taste buds. (E) Endocrine System: Different endocrine glands and Hormones - definition, types, characteristics and their functions, (in relation to human beings), Hormonal disorders and pheromones. (F) Circulatory System: Circulation of body fluids- Blood and lymph, Open and closed vascular systems, Structure and working physiology of Heart, Comparison between arteries and veins, Lymphatic system. (G) Animal Diversity: Classification of Animal kingdom (Based on Storar & Eusinger), Characteristic feature of different phyla and classes with examples. (b) Porifera: A simple sponge (Leucosolenia); Detailed study of structure & physiology, Sponge industry. (c) Coelenterata: Hydra - Habit and Habitat, morphology, tissue differentiation in relation to physiological division of labour and regeneration. (d) Aschelminthes: Ascaris- morphology, life-cycle, therapy and control. (e) Annelida: Pheretima posthuma - Bionomics and economic importance. (f) Arthropoda: (Periplaneta): Structure- external and internal. Comparison between Periplaneta and Blatta. (ii) Economic importance of insets & their control. Structure, components of ecosystem eg. Water soluble minerals and gases, producers consumers, decomposers, Pond and forest ecosystem. Mendalism, Mendals experiment and law of inheritance. Modern Classification of plant kingdom- (according to Ostwald & Tippo) (outline). Description of development of angiospermic plants (life history of angiospermic plants). Algae: Habitat, general characters & uses, description of ulothrix & spirogyra. Bacteria: structure - types of nutrition, reproduction and economic importance. Fungi: structure description of Rhizopus and yeast and their economic importance, Fermentation. General study of gymnosperms and life history of cycas. Chloroplast, light, chlorophyll and Carbon dioxide, Mechanism of photosynthesis formation of A.T.P. and their functions and importance of photosynthesis. Transpiration: factors and importance, Mechanism of opening and closing of stomata. Matter - solid and liquid, physical and chemical changes, element, mixture, compound, laws of chemical combination, laws of conservation, laws of proportion, laws of gases, explanation of above laws in reference to atomic principle, atomic laws, new & old concepts, definition, simple explanation and interrelationship of the following: Valency, atomic weight, molecular weight, equivalent weight, structure of atom, Avogadro's hypothesis and its uses, ionic theory, difference between atom and ion, explanation of the following with the help of ionic theory, electrolysis, acid, alkali, salt, water, hydrolysis and neutralisations, oxidation and reduction, classification of elements. Inorganic Chemistry: Water and its hardness, methods of treatment of hard water and soft water, occurrence of compounds, properties and uses of the followings elements nitrogen, ammonia, nitric acid, carbon, carbon dioxide, phosphoric acid, sulfur dioxide, sulfuric acid, chlorine, hydrochloric acid. Occurrence properties, uses and their functions in the plants of the following: Sodium, sodium chloride, sodium hydroxide, sodium carbonate, sodium bicarbonate, sodium phosphate, sodium nitrate, potassium sulfate, Calcium, calcium oxide, calcium carbonate, calcium sulfate and calcium nitrate, Iron, sulfate and iron phosphate, aluminum, aluminum sulfate and aluminum phosphate Nitrogen cycle, Fixation of nitrogen in the soil, function of Super-phosphate and phosphorus in plant, nitrogen fertilizers. Properties of different materials used in agricultural implements, Classification of plough their merits, comparison, common troubles in their operation and precautions, maintenance, assembly, cost and comparison of cultivation harrow, hoe, float, scraper and seed drill, draft of implements. Their measurements, factors affecting draft. Water lifts, their discharge, capacities, command area, and cost of irrigation (water lifts should include common water lifts and low lift pumps). Tillage and ploughing, types of ploughing and their merits. Types and objects tillage. Chemical and Physical effects of tillage practices for different crops. Transmission of power through gears. Pulleys and belts, hand operated chaff cutters, cane crusher, winnowing fan, and splash threshers. Crops: Cultivation, practices of common crops of India and their varieties. Soils: Origin, classification and physical properties of soils, soil conservation. Manures And Manuring: Nutrients for plants growth, uptake of N.P.K. organic and inorganic fertilizers, farmyard and green manures, their properties and method of application, knowledge of following manures and fertilizer: FYM, compost, urinated soil, castor and groundnut cake, ammonium sulfate, sodium nitrate, super phosphate, potassium sulfate, urea, CAN ammonium chloride and mixtures. We hope that the provided syllabus and the exam pattern will be useful for you. To get all the latest updates pleased stay with our web portal www.sarkarinaukricareer.in.